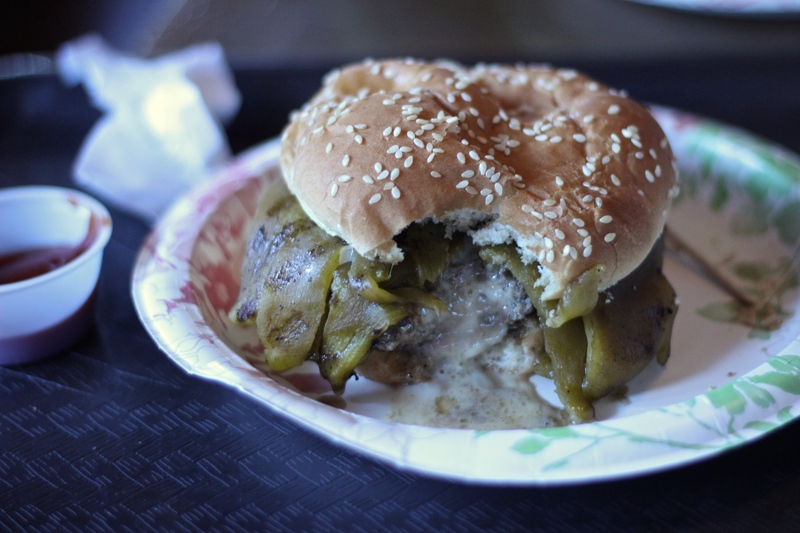 After a failed attempt to visit a Detroit Coney-style restaurant in Phoenix, we made our way to The Chuck Box in Tempe. This was by no means a lesser choice because The Chuck Box is a local legend, just an unanticipated one. When we arrived, the place was nearly empty. Although being as early as we were this was not a surprise, yet there was still a smell char-grilling in the air and a ragtag group of guys looking to take an order. I decided on the Tijuana Torpedo, because although the Big One seemed to be the most popular burger, it was still just a basic burger. This, of course, is not meant to be knock on the Big One, because sometimes as basic burger is all you need. I, on the other hand, wanted the green chilies on the Tijuana Torpedo. Don’t ask why green chilies work for me as an unvegan, just know that they do. 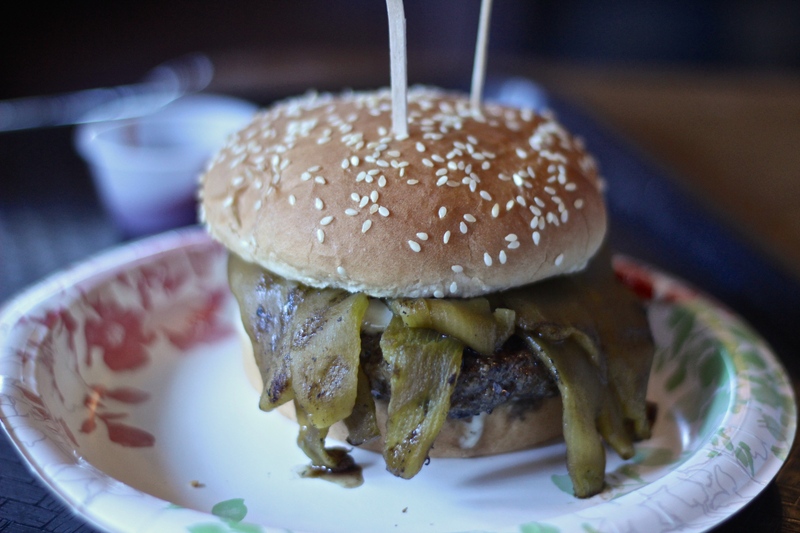 It’s also a bigger burger and comes topped with some jalapeno jack cheese. It took some time to cook up my burger, which was fine with me because I had some onion rings to eat in the meantime. 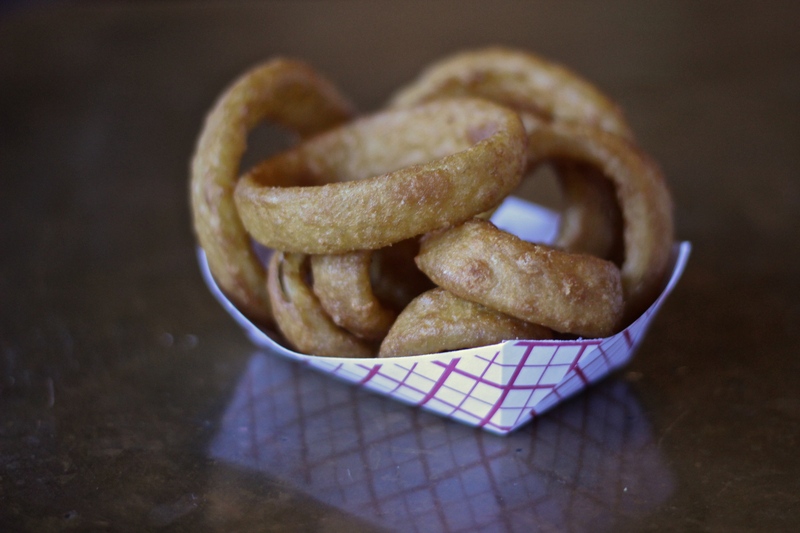 These were some pretty great onion rings in the sense that they were fried hard enough that I could barely notice that there were actual onions inside each ring. Finally, the Torpedo was ready and completely smothered in giant green chilies that had been cooked on the grill. Perhaps the best part was that I didn’t have to worry about any other random terrible toppings on the burger because The Chuck Box has a nice big table in the middle of the place where people can load up their own. But back to the Tijuana Torpedo. I quickly found that this was not only topped with cheese, but stuffed with it as well when the inner cheese came flowing forth. This was a pleasant surprise. The more unpleasant surprise was that there were just too many green chilies on top and they overwhelmed the flavor of the burger a bit. Fortunately after removing I found myself very pleased indeed. 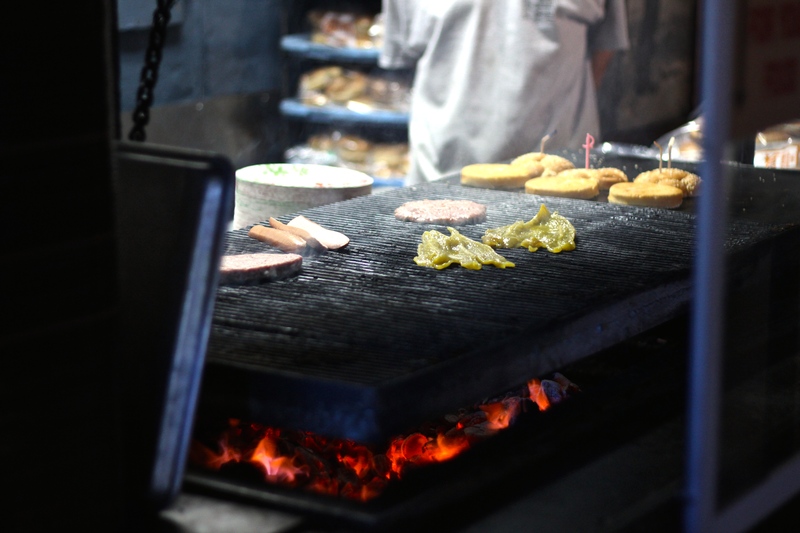 The Chuck Box is nothing fancy, just good old fashioned char-grilled burgers. It’s not the type of place where you might expect a perfect medium-rare (and in my case not at all considering the cheese stuffed inside). Yet, that does not diminish the fact that it serves up something delicious and something you might like to make in your own backyard, at a price fit to serve the students at Arizona State.